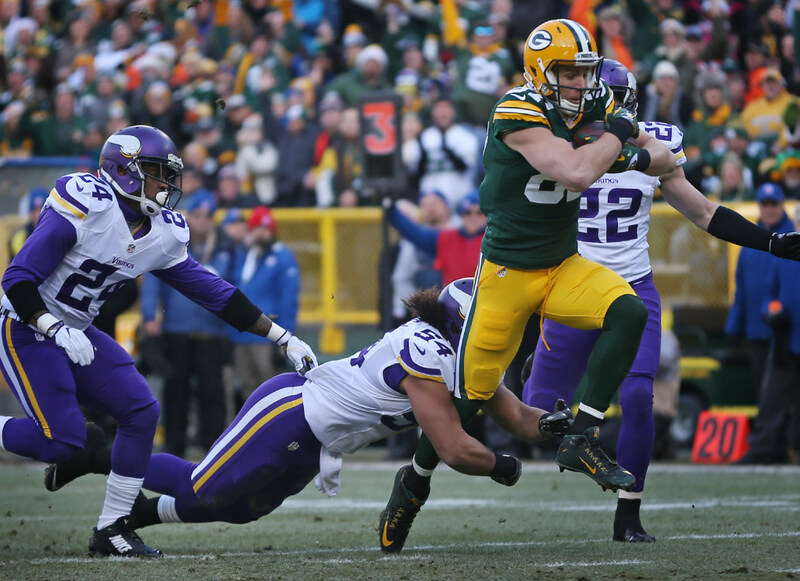 Jordy Nelson 'hurt' by release from Packers; did Green Bay mess up? Did the Packers mishandle a situation that could have left them with another season of a still-productive receiver? Former Packers wide receiver Jordy Nelson discussed his breakup with Green Bay in a radio interview with ESPN Milwaukee on Monday, saying the team asked him to take a pay cut that he considered until learning from new general manager Brian Gutekunst that the team was likely to reduce his role in the offense as well. Two days later, Nelson signed a two-year deal, $14.2 million deal with Oakland. On one hand, this is the nature of business in the NFL. Nelson turns 33 in two months and is coming off a season in which his productivity dipped sharply after Aaron Rodgers was injured. Nelson also missed the entire 2015 season with a torn ACL. GMs are often judged by their ability to get rid of players at the right time, with the adage being that it’s better to let someone go a year too early than a year too late. Here’s the question, though: Did the Packers mishandle a situation that could have left them with another season of a still-productive receiver? Nelson has clear chemistry with Rodgers. His overall numbers last season were career-lows, but he had six TD grabs in the first five games (among his 19 catches) before Rodgers was hurt against Minnesota. The year before, Nelson had 97 catches for 1,257 yards and a NFL-best 14 touchdown grabs. Davante Adams and Randall Cobb give the Packers a pair of solid wideouts, but Nelson was always the guy that worried you the most if you were watching from a Vikings perspective. He has 10 TD catches in 17 career games against Minnesota. Nelson had 35 touchdowns and 4,000-plus yards in his last three healthy seasons before 2017. Even if he had lost a step and wasn’t the deep threat he used to be — Nelson’s 20 TDs since ACL surgery were all 32 yards or shorter, while he had seven TDs of 40-plus yards in 2014 — he was a sure bet for Rodgers in key spots. We’ll see just how much he misses him in 2018. My guess is it’s quite a bit.